Breathtaking canyon views!!! Enjoy the magnificent sunsets while sitting by the fire pit, enjoying an outdoor meal, or relaxing in the hot tub in this entertainer's backyard! The interior of this tranquil cul-de-sac home is as impressive as the exterior. This home has been impeccably remodeled with a gourmet kitchen and gorgeous remodeled bathrooms. Other spectacular highlights are smart home features and surround sound. Close to restaurants, the beach and convenient access to the 52 and freeways., Breathtaking canyon views!!! Enjoy the magnificent sunsets while sitting by the fire pit, enjoying an outdoor meal, or relaxing in the hot tub in this entertainer's backyard! The interior of this tranquil cul-de-sac home is as impressive as the exterior. This home has been impeccably remodeled with a gourmet kitchen offering new quartz counters, SS appliances, modern hood, and breakfast bar, which open into the dining area. The master suite is luxurious with a gorgeous remodeled bathroom and upgraded sliding doors that lead to the fantastic backyard. The guest bedrooms are spacious, and the guest bathroom has been beautifully remodeled. Other spectacular highlights are smart home features, maple wood floors throughout, designer interior paint, new modern entry door, surround sound, custom window treatments, spacious 2-car garage and a large shed for additional storage. 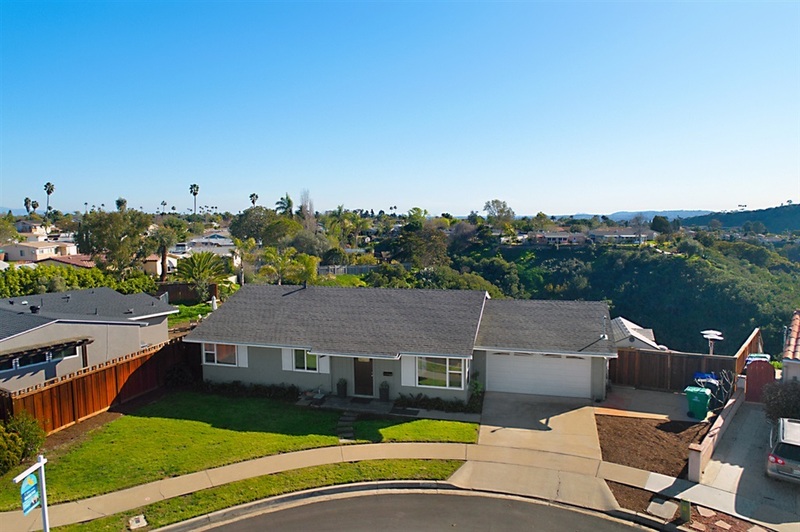 Just minutes from restaurants, the beach and convenient access to the 52 and freeways. This is A MUST SEE! PLEASE SEE ATTACHED COMPREHENSIVE LIST OF ALL UPGRADES AND HIGHLIGHTS.